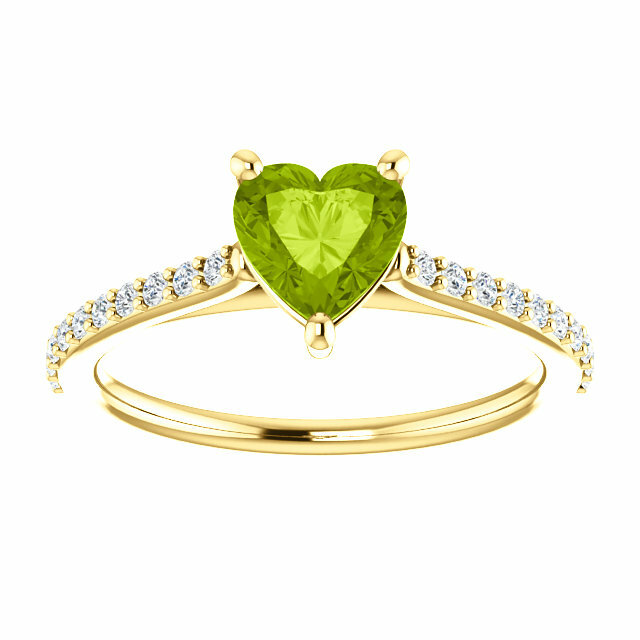 A fresh, vibrant green is the color you will see when you look at the AA rated heart shaped peridot gemstone and diamond ring, featured from Apples of Gold Jewelry. 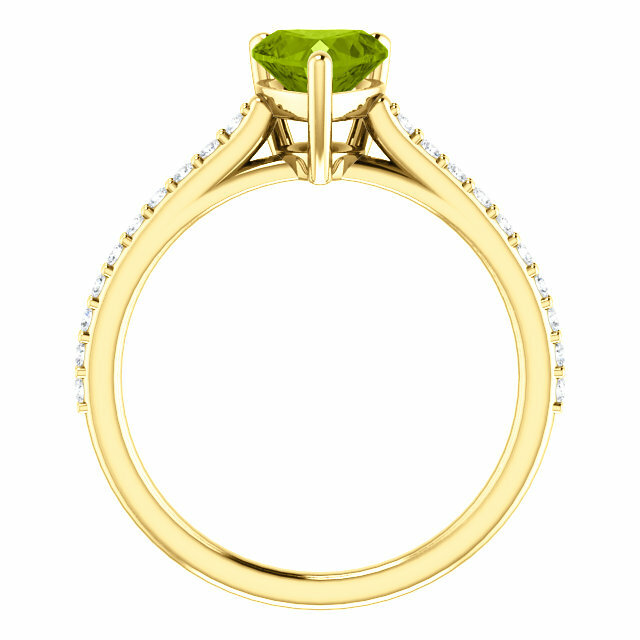 10K, 14K, or 18K yellow gold are the choices for the band of the ring, and on each side of the peridot gem sits ten diamonds, which make up a 1/5 carat total (0.20 carats). Rated H-I for color and SI for quality, the diamonds add a little extra pop to the already authentic vivid green gemstone that you will treasure always! 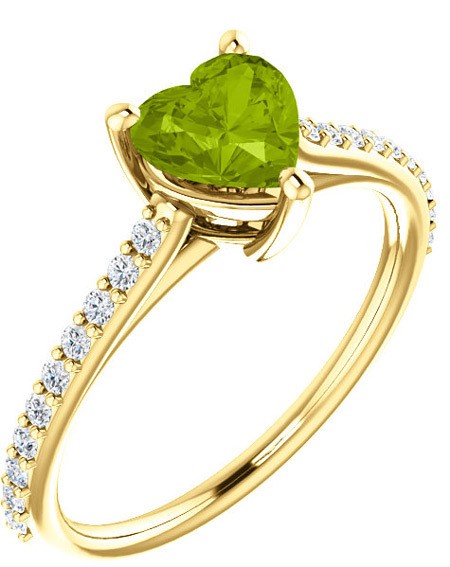 We guarantee our Vivacious Green Peridot Heart and Diamond Ring in Yellow Gold to be high quality, authentic jewelry, as described above.